Because of this, my first short film script was walls of text with the occasional action line. I used the internet as a resource for writing, but I never truly gained the sense I knew what I was doing. I went on to make another two short films by fumbling my way through the medium and it wasn’t until I attended UAT that I felt like a real script writer. I had always loved writing but never considered myself “good” at it. So I was pleasantly surprised to learn that, along with the array of Digital Video classes on offer, UAT also offered Script Writing. It soon became one of my favorites classes and under the guidance of industry professional Professor Sharon Bolman, I finally felt like I could take my stories to the next level. Behind the scenes of short film " MEAT"
The class doesn’t just teach you how to write interesting and coherent stories; it also covers everything from script writing basics to in-depth analysis of the importance of language. Now I have never been someone who thinks there is a right or wrong way to do something when it comes to art, however Professor Bolman educated me in the value of making sure a script is fit for the production process. Essentially this is to assure that the rest of the crew has a clear understanding on the best way to tell your story. I then went on to implement these scripts into the production of short films and this in my mind cemented the usefulness of formatting on the movie making process. I am still refining my skills with every script I write, in fact I have become a bit of a stickler when it comes to the formatting structure itself, however I always find myself coming back to all the valuable lessons I learned during that class. 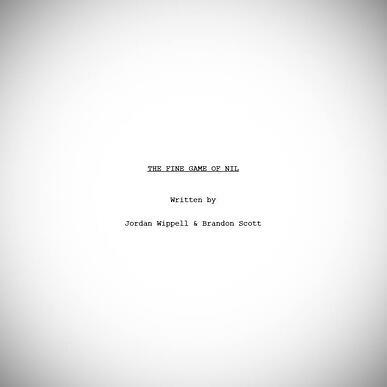 Short film script "The Fine Game of Nil"
If you’re not lucky enough to attend a school that teaches Script Writing, then I suggest looking into Rocket Jump Films School series on the matter. 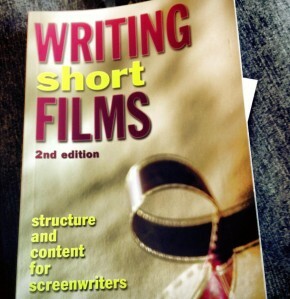 It’s one of the best modern resources I could find that walks through the screenplay writing process and its importance on film making.